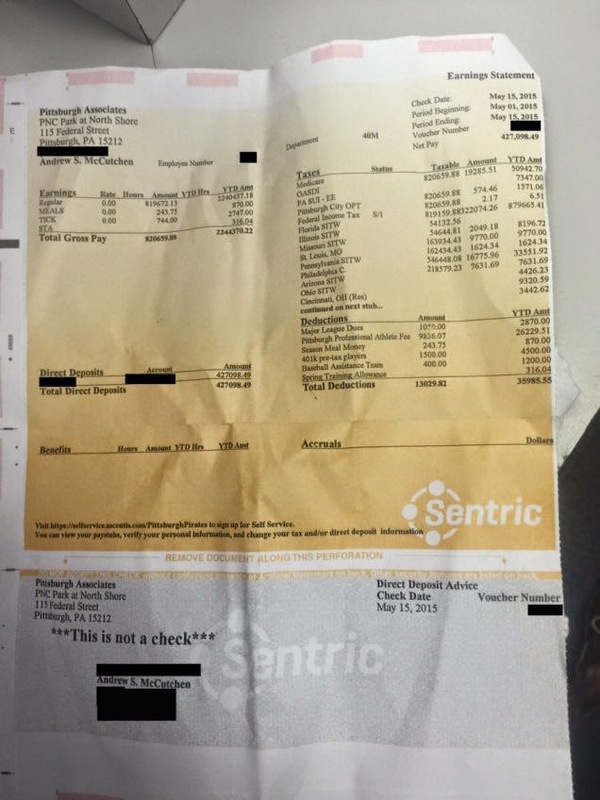 OddOz: Ever Wonder what a pro athlete's paystub looks like? Ever Wonder what a pro athlete's paystub looks like? Andrew McCutchen of the Green Bay Packers paystub ended up on Deadspin after he left it behind in the locker room.